A Brush with Silence is a meditation in calligraphy and silence. It has been conceived to bring together calligraphers from many different cultures in the silent intensity of their writing. Working together in one large, darkened space, the calligraphers manifest serenity and concentration as they write their texts with brushes, quills and reed pens. This calligraphy performance will take place in Niguliste Museum (Niguliste 3, Tallinn) from 18:00 – 20:00 as a part of Estonia’s Museum Night. You are welcome to step in at any time and spend as much time as you like in the darkened space filled only with the subtle scratching and brushing of calligraphy tools. 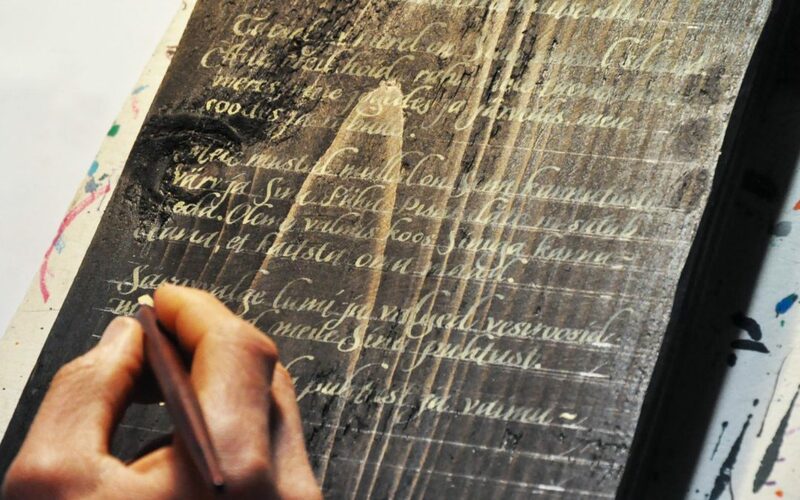 This event is organised by the Tallinn School of Calligraphy and Labora. Follow the event on Facebook for more information!